Not as tricky as it looks. For this design we will use a common beadweaving stitch. 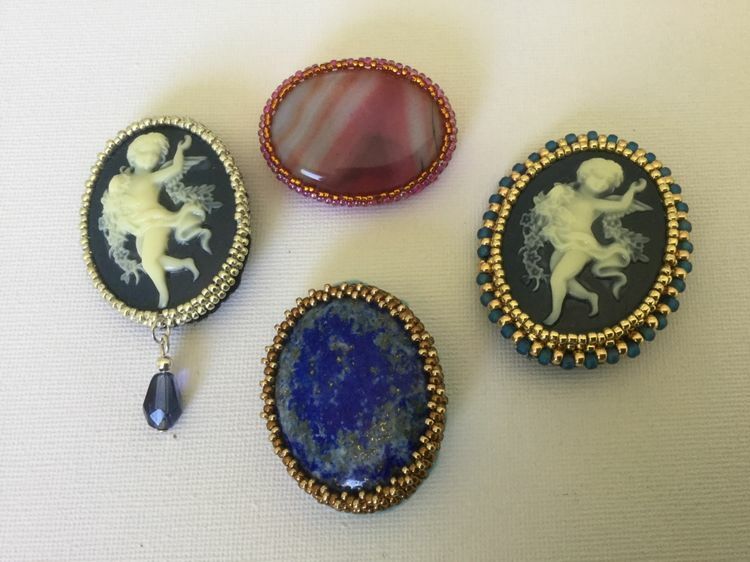 You may choose between a picture or genuine gemstone cabochon.